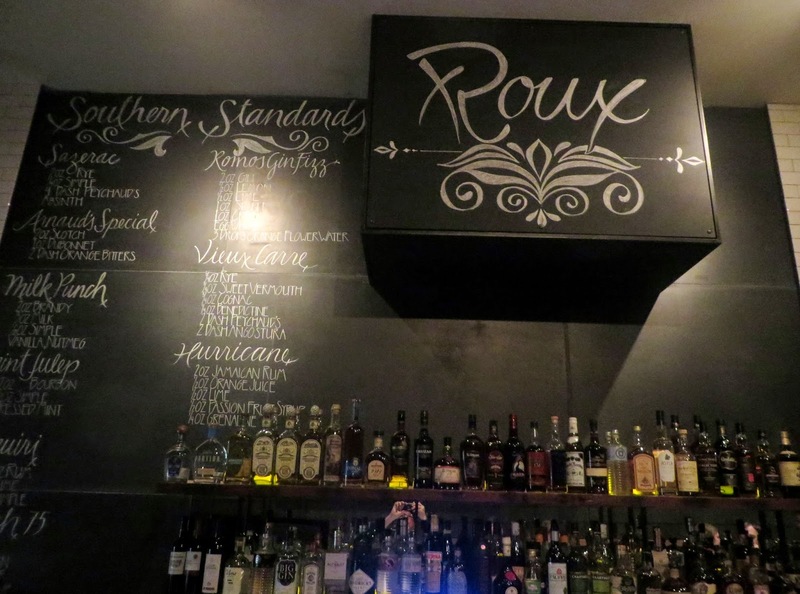 Update: Roux closed Feb 18, 2018. I don't know how much of this is New Orleans and how much of this is Matt Lewis, but the food at Roux is demented. Root beer barbecue, watermelon pickle, frog legs with parsley, braised rabbit leg, crispy pig ear, turtle bolognese, fried alligator tail -- the menu reads like something you might see people forced to eat on a cruel Japanese game show. And yet everything I have here tastes really good. NOLA native Lewis became well known around Seattle starting in 2010 with his "Where Ya At Matt?" food truck. In 2013 he opened this place in an historic Seattle bar location, the home of the Buckaroo Tavern since 1938 (and other bars slightly before that). Nothing can compensate for the demise of a great old dive like the Buck, but it's a bit comforting that it was not replaced by a Starbucks, but a unique contribution to the food and drink scene. There are some intriguing cocktails -- less weird sounding than the food -- and I was fond of the Doctor Boggs (pecan infused bourbon, chicory syrup, bitters). Lewis's chef (since departed) Michael Robertshaw was said to be combining Creole recipes with his classical French background and Northwest influence. All I can tell you is that the stuff sounds crazy, but tastes crazy good.